Amy Sonic And Shadow. . Wallpaper and background images in the SONIC COUPLES club. shadz is a bad boy! 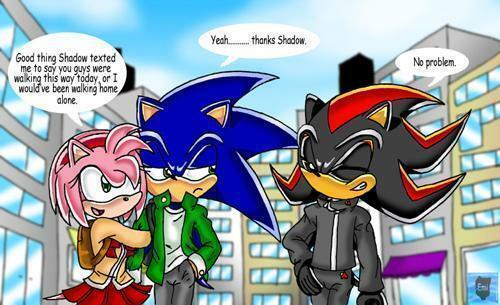 No it should be visa versa Shadow and Amy 4eve!!!!!!! !